Osram recently spun off its lamps division, branding it Ledvance. But little seems to have changed when it comes to the Lightify LED bulb product line, which has a diversity that looks a lot like it did last year. (Ledvance comes close to Philips in terms of its variety of smart LED form factors, offering indoor strips, landscape lighting, PAR, and candelabra.) 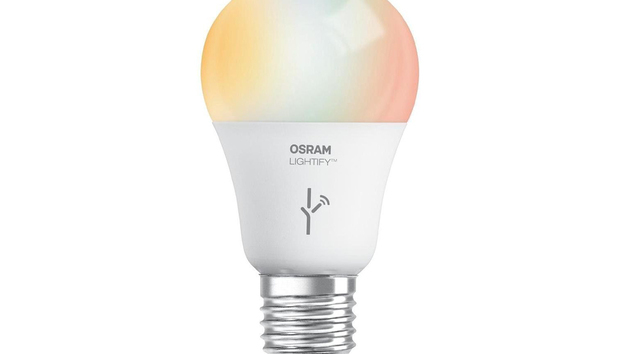 The one big twist: The company has added a full-color tunable bulb to its lineup to complement the white-only bulb we reviewed last year. Firmware updates have also taught older products a few new tricks. Ledvance Lightify bulbs are built to closely mimic standard incandescents in appearance, and they’re designed to work with the Lightify Gateway. The gateway is a small ZigBee device that plugs into any wall socket near where you have the bulbs installed, easily bridging the gap between lighting and your smartphone. It remains a far more elegant solution than the wired Philips Bridge, and Lightify now also works with most of the major smart-home hubs, including Wink, SmartThings, HomeKit, and Amazon Echo. Ledvance's Lightify RGBW color LED smart bulb will flash off and on if it's dimmed by a conventional or Z-Wave dimmer switch. I was happy to see that Ledvance has taken some major steps to improve its formerly obtuse setup process, although it still has a way to go before it’s easy enough for mainstream America. Little improvements, such as scanning the QR code on the back of the Gateway with your phone’s camera (instead of having to type in a long code), make pairing simpler and setup faster. The app, however, is still comparatively slow and remains far from intuitive in daily use. In fact, early in the installation process, I ran into a snag that required Ledvance to manually reset my account before I could continue testing. That’s not likely to be the norm for regular users, though, who will find that the Lightify app is loaded with features, including scheduling systems, wake-up timers, party modes, and even a new “TV simulation” mode that’s meant to mimic the glow of a television while you’re away. Some of these features are more impressive than others. The TV simulator, for example, took significant tinkering in order to appear convincing when viewed from outside the house. On the other hand, other features like the ability to choose a light color based on the hue of your own photo can be quite seamless. One nagging problem I found is that interacting with one screen of the Lightify app resets whatever else the bulb is doing. 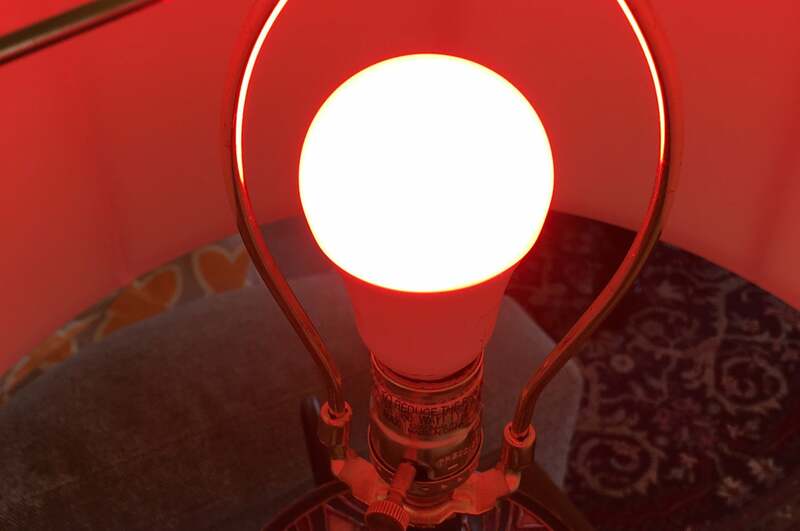 For example, if you have the TV simulator or a color sweep active, but then you try to dim the light elsewhere, the bulb will revert to a solid color. To dim the TV simulator or color sweep, you have to drill down to find that system’s specific brightness control. It’s a small thing, but it does require some extra effort on self-training on the part of the user. Also of note: The bulb cannot be dimmed through a hard-wired switch, and it flickers badly if a dimmer is present at all on the circuit—even when that dimmer is at full power. Ledvance does sell its own external dimming switch ($30) that lets you control brightness and power wirelessly, without having to open the app. All told, the Ledvance Lightify RGBW is a quite affordable bulb that has an ample collection of features. Whether you have the patience to dig into all of them is another question.